Launching an Internet of Things (IoT) initiative can fuel your business transformation. But, if not done properly, it can also pose tremendous security risks and setbacks by not partnering with the right people. Here's how to avoid those risks. More forward-thinking organizations are devoting resources to the Internet of Things (IoT). With the increase in IoT spending from decision makers across a wide variety of industries, your organization must stay in the know. Security remains a critical concern. The more connected people and businesses are, the more entry points hackers have to tap into sensitive information. Finding the right partner is key, but where do you look? There are a variety of partners available to you depending on which stage you are in regarding your funding and prototype development. If you’ve purchased a device that connects to the Internet, you’ve already dabbled in the Internet of Things (IoT). Smartphones, smartwatches, and even smart doorbells have changed the very fabric of how we engage with the world around us. We’re in the midst of a significant digital transformation, or what Professor Klaus Schwab, executive chairman of the World Economic Forum, calls the fourth industrial revolution. IoT devices might feel easy to use but the technology that goes into developing them goes far beyond a simple device or application. 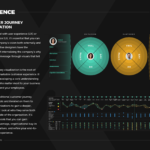 For organizations to leverage this new technology, businesses must have a solid understanding of what it is, the opportunities and challenges, and why it goes so much deeper than connecting the dots between departments. In 1999, Kevin Ashton coined the phrase “Internet of Things.” It was an odd concept back then when computers were known as brains without senses, he said in a recent Smithsonian article. Computers just did what we told them to do. The problem with that concept is that there’s an overload of information — more information than we as people can possibly type into a keyboard. In light of that, Ashton describes the Internet of Things as computers that can sense things for themselves. In light of the convergence between the physical and digital worlds, we’ve taken this definition a step further. At RocketSource, we define the IoT as embedding a connection in non-traditional devices as a means to communicate with other devices. That connection can be anything from wifi or cellular, to Bluetooth connectivity or a ZigBee style connection. The cloud plays a significant role in this connectivity. We define the cloud as having data stored remotely instead of on a local device. If you can access your data from another device, you will know your data is not resident to its original location and it lives in the cloud. The concept of devices speaking to one another is what launched the smart industry. From doorbells and thermostats to televisions and washing machines, smart products continue to pop up in the market every day. We’re now at a point where it’s so inexpensive to connect just about anything to the Internet. Through this connectivity, devices get a reading that then triggers an action behind-the scenes. Through enhanced connectivity, and by empowering computers to connect and speak to one another, IoT has become a transformative type of technology. BY 2025, the IDC expects there will be 80 billion Internet-connected devices that generate 180 zettabytes of data per year, which is significantly more than the 4.4 zettabytes generated in 2013 and the estimated 44 zettabytes estimated for 2020. It’s this influx of data and connectivity that’s sparked the distinct need for business transformation initiatives that tap into the power of IoT and use it to transform the ecosystem in which we work and live. Gartner appropriately calls today’s technological ecosystem a “Nexus of Forces,” which consists of cloud, mobile, social, big data, and analytics. The combination of each of these devices creates an exponentially more significant impact than they could create individually. Cloud IoT is one of those trends. Cloud IoT has changed the way businesses, and consumers operate. The data that’s gathered is now leveraged to make faster, more informed business decisions, reduce operational costs, and improve processes. By leveraging devices that can capture real-time business intelligence, companies have a more accurate and comprehensive overview of their market and their business. It’s this potential that has driven the need to change products and services proactively, and how they fuel businesses. Take one such IoT initiative that’s now saving lives and changing the way the oil industry operates. Infragauge measures the amount of oil or produced water inside large barrels through a device that plugs into a smartphone. In the past, workers climbed steep ladders to dip gauge tape into the tank, remove it, and use the tape to determine where the moisture stopped. This risky procedure led to asphyxiation from tank fumes and severe injuries from tripping and falling on the stairs, especially in poor weather. 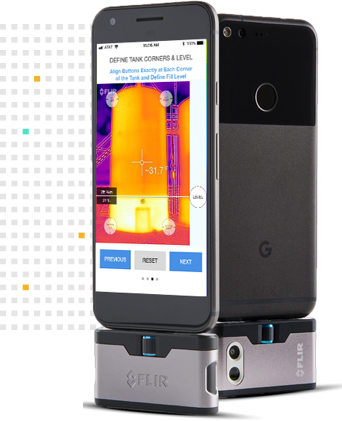 By attaching the small infrared camera to a smartphone, workers can snap a picture of the barrels from the ground up, avoiding the risky measures of climbing ladders and exposure to fumes. Through the app, workers can line up a few dots to points on the image and get an instant, accurate calculation of the amount of fluid inside. It’s safer, faster, and more reliable. 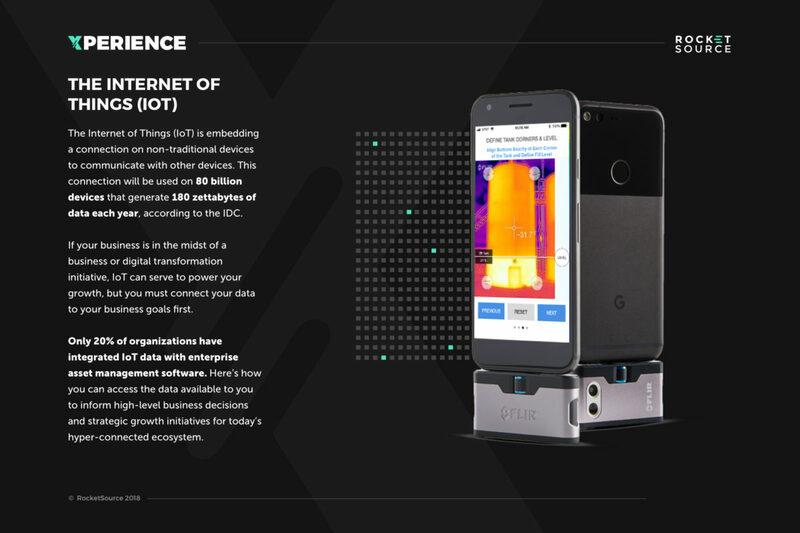 Businesses are using IoT devices like Infragauge to innovate on previous industry norms by advancing business processes. These connected devices are capable of gathering an abundance of data in real-time. The challenge now isn’t acquiring data as much as it is about tapping into that data to use it to drive business transformation. In an IFS research study analyzing the impact of the Industrial Internet of Things and digital transformation, most respondents said access to IoT data was limited, and only 16% said it was accessible to ERP. Although 85% of respondents said they have sensors on equipment, only 20% said they had integrated IoT data with enterprise asset management software. Integrating data across the organization is one of the biggest challenges for organizations today. For IoT to be transformative, businesses must move past the standard of keeping data available and consumed exclusively on the ground level. Cloud IoT is continuously collecting data such as timestamps, faults, speed, temperature, and other metrics. 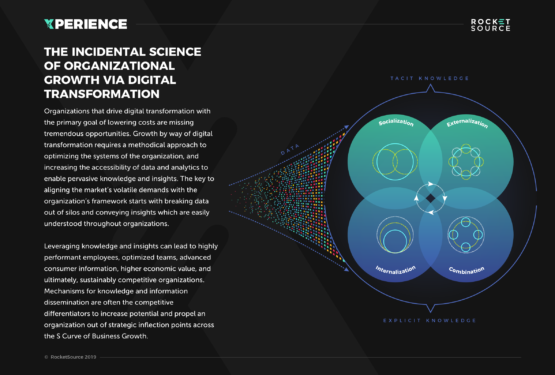 Making a connection between this data and how it can be used to move transformation initiatives forward through a more comprehensive approach. 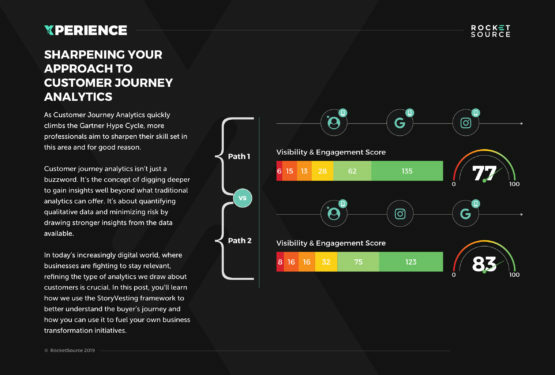 The goal of tapping into this data must be to develop the higher-value use of data that informs higher business-level decisions. One way organizations are tapping into data collected from IoT initiatives to lead business transformation through automating specific processes. Automation software works differently than software designed to enhance productivity. Traditional software is designed with a specific function in mind but does not learn on a continual basis. Automation systems think continuously and use data to inform, turning insights into action items that organizations can use. IoT isn’t just defined by connecting devices with each other and gathering data points. It’s also defined as connecting people. When leveraged correctly, this technology can drive new business opportunities and business models. Take a product that the parents at RocketSource have become big fans of over recent years — Owlet. Owlet is a smart sock that parents put on infants to monitor for anomalies in heart rate and blood oxygen levels. When the baby wears the small sock fitted with a pulse oximetry monitor, parents can open an app and see whether the baby is moving, the heart rate, and the oxygen levels. If these levels get too low or too high, the caregiver gets an alert. This product was the first of its kind on the market, but it wasn’t just the product itself that was transformative. It was the connections it opened up between healthcare providers and customer service providers. The support team was able to tap into the data being collected by the device, enabling them to react better and faster to consumer’s urgent issues that most commonly happened in the middle of the night. Threats to connected devices are real. Intruders and hackers have more touchpoints to access business and customer information. A single security failure has the potential to take down the entire system. Here are the most common security incidents involving IoT. Malware infiltration is the biggest culprit. The more devices connected to the same digital mesh, the higher the risk of malware making its way into an organization’s system. As businesses start manufacturing smart devices and tapping into IoT initiatives, there’s often question about who is responsible for security, to which there’s not a clear cut answer. The role of cloud service vendors is to store data securely on servers. IoT solutions providers build inherent security measures into devices and systems. Internal IT managers are responsible for overseeing operations and monitoring for any potential loopholes that could pose security threats. Everybody bears the responsibility of security. It requires coordinated and complete solutions with well-established protocols that standardize how devices are named and communicate with each other. Weak authentication measures and update features are the two most common security risks that make IoT devices vulnerable. Strong authentication measures must get baked into the design from the beginning. The challenge is there is not a standardized authentication protocol, which can cause bugs in the authentication process. Hackers take advantage of these bugs whenever possible. Until a standardized approach is in place, using the Domain Name System (DNS) can minimize the risk of a breach. DNS provides authentication mechanisms to reduce the chances of malicious servers seeking to cache malware through devices and gateways. It also has privacy mechanisms already in place, such as HTTPS and DNS-over-TLS (Transport Layer Security) to help keep intruders at bay. It’s clear that today’s environment is no longer about addressing isolated security events. IoT initiatives involve a system of systems that work together simultaneously. This ecosystem is a far cry from the “standard” Internet, which means companies must take a different strategic approach for security best practices. Remote connectivity and updates can trigger remote scanning from hackers. Once a hacker has access and an update is released without validation, the hacker is able to load malware onto the device. These security threats are real but they’re not impossible to overcome. The key is to know about the possible threats to your system and identify countermeasures for each of those threats. Countermeasures should start at the device level through secure hardware. 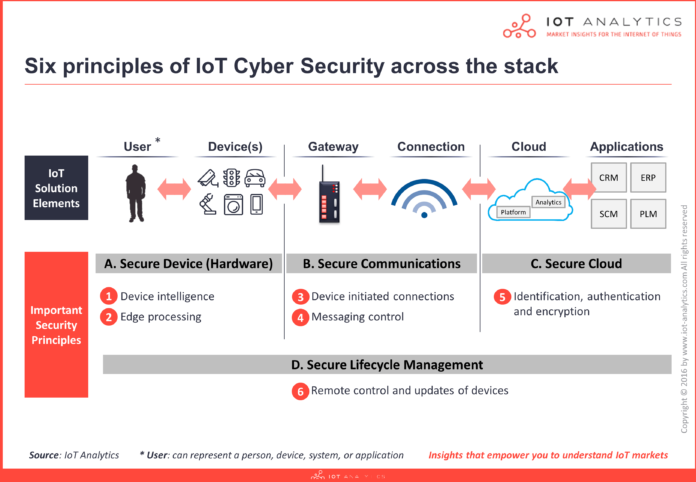 Emerging technologies for IoT security are small, fast hardware devices with built-in protection.These chips provide the best protection while simultaneously simplifying the scope of what’s needed to secure the IoT device. Their built-in capabilities allow for security to be implemented at the edge device (i.e. the sensor) and still be infinitely upgradeable as new attacks emerge and new security countermeasures are released. Hardware alone isn’t enough. Once communication signals are released, the gateway where they pass through and the way they message each other must also have a secure connection, so hackers can’t tap into data while they are in transit. Likewise, data must be stored on a cloud database that’s secured by identification validation, authentication requirements, and encryption. The more barriers to entry you create, the harder it is for hackers to intrude your system for a brute force attack or to plant malware through your devices. Although it’s imperative that you’re tuned into the biggest security vulnerabilities with IoT, these should not stop you from getting started with your own IoT digital transformation initiative. The applications for IoT are seemingly limitless. Tapping into the potential often leads to the temptation to go after the biggest, most transformative ideas first, however that might not be the right approach. As you start to develop a cloud IoT strategy to fuel your digital transformation, the key is to start small. Identifying modest objectives and costs will empower you to gain a better understanding of the potential applications and opportunities for your specific organization. Effective IoT development happens out of a relentless focus on your company’s core mission and why. That’s what BokaFlo Sciences, a recent RocketSource client, has done with the development of their new Saliva Flow measurement tool. BokaFlo is a recently FDA approved device for dentists to test for and detect xerostomia, a common disease in people over 60 that often goes undetected. Patients simply insert a small piece of foam underneath the tongue. That foam is then placed onto a BokaFlo base and compared against a proprietary algorithm and database to determine whether the patient has the disease. The core focus of BokaFlo was to quickly and accurately diagnose patients with diseases that affect saliva flow. Although the company has a portfolio of other products in the works, their relentless focus has been on first bringing this tool to market, transforming the field of dentistry for patients with xerostomia. To do that, they partnered with RocketSource to set up their cloud database to store the data from their IoT device. Reliability requirements with storage and security are just two of the major data requirements businesses are looking for when it comes to working with connectivity providers. 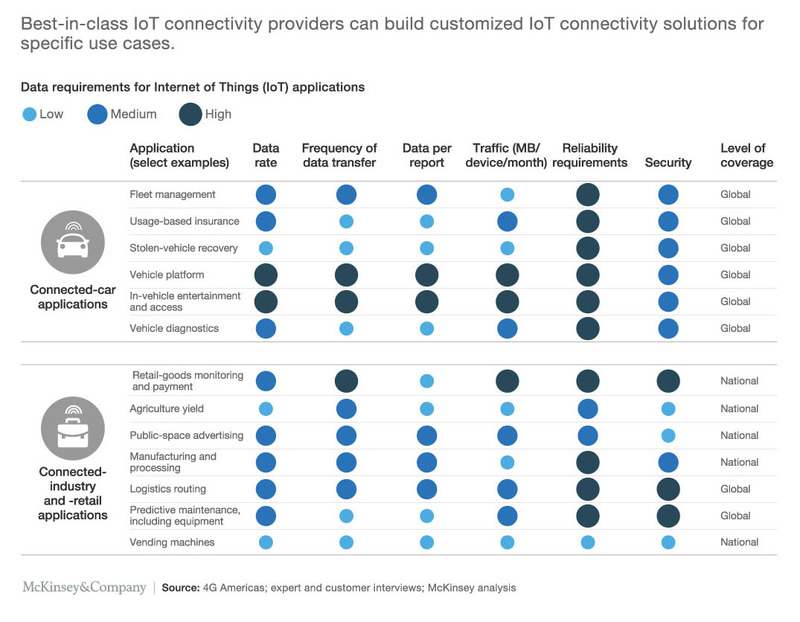 In this research from McKinsey & Company on unlocking value from IoT, businesses in car-related applications and retail-applications both showed reliability and security as the two top needs from an IoT connectivity provider. Frequency of data transfer was another important consideration as companies, similar to BokaFlo, aim to get data analyzed and returned in almost real-time speed. To make these kinds of connections at the level that’s needed today requires partnering with companies knowledgeable in setting up IoT applications and devices that check off every box from this list of requirements. As we bridge the gap between hardware and software, it’s critical that you have a partner working alongside you who is expert in the rapid transformations we’re seeing today. I discussed what’s happening in today’s world and the importance of partnership with a partner of our own — Avnet’s Trent Foster. Here’s your opportunity to eavesdrop on what we discussed. Whether you’ve just secured funding for your startups idea, or you’re in the thick of an IoT transformation initiative, it’s critical that you have the right team on your side to bring your concept into reality. What data points should you collect? 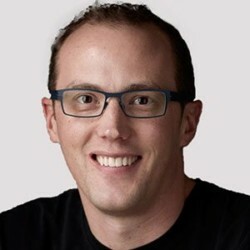 How do you get a cloud database? How do you build the application? How do you maintain the application? What should the user interface look like and the user experience feel like? Partnering with a company like RocketSource to design the user experience and backend architecture can help you move out of the idea phase and bring your device to the market. Likewise, partnering with a unlocking value from IoT can help you wrangle all of the incoming data and turn the information your IoT devices gather into actionable insights for your brand. How do you produce your hardware? What types of hardware/software development tools exist? What type of hardware/software engineers should you hire? How do you secure your IoT device? What type of communication software should you use? Partnering with a company like Avnet, a company experienced in bringing IoT devices from concept to reality, can help get your initiative off the ground. You’ll get an experienced partner working alongside you to create a strategic plan, overcome design and supply roadblocks, and get to market. Cloud IoT initiatives aren’t easy — especially for companies that do not have a dedicated technology or hardware engineering department. It can take 10 to 12 partners to pull together and deploy IoT initiatives, from the gateway and network, to the cloud and analytics needed to make the data collected actionable. You need software development to build out the mobile app, cloud applications, user experience (UX) flowcharts, connect all the dots, and determine the data points to store. You also need hardware development to build the device, determine the connectivity format, and build in security protection. We’re here to serve as your partner every step of the way. 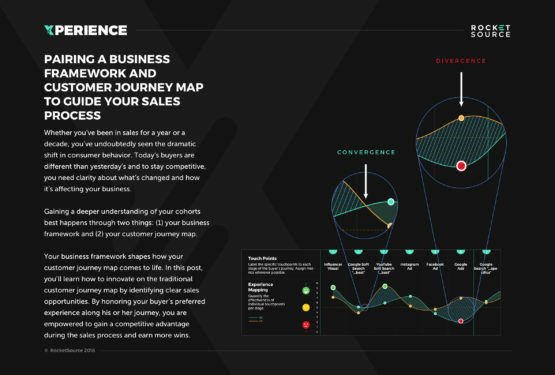 If you’re just getting started, the LevelNext modern business transformation workshops show you the essential path to strategizing and developing these initiatives. If you’re ready to dig in your heels, our complete range of services, from Data as a Service solutions to IoT audits and discovery sessions, can help uncover potential opportunities, and then operationalize, deploy and scale initiatives from ideation to execution. In other words, we’re here to serve as your partner as you take your next step forward toward digital transformation with cloud IoT.